Caroline is a registered nurse, midwife and health visitor. Her research interests lie broadly within the scope of addressing inequalities and more specifically are focused on issues of family violence and child abuse and neglect. She has led or been actively involved in securing funding for a number of research projects relevant to these areas. She has undertaken research or engaged in scholarly activities with a number of countries including Japan, New Zealand, Denmark, Germany and Finland. Caroline leads the Risk, Abuse and Violence research programme at the University of Birmingham. I was born in Auckland of Scottish/Irish/English ancestry. I initially graduated from the University of Auckland in the early 1980s with postgraduate training in philosophy and psychology. I practised as a clinical psychologist for 13 years during which I developed specialist expertise in the area of addictive behaviour and violence. This led me into playing an active and often leadership role in community initiatives that included forming a violence collective, establishing innovations in mental health and addiction services, chairing the Problem Gambling Foundation and fostering a variety of workforce initiatives with a community focus. Helen has worked in the NHS for over 30 years, initially as a clinician and then as a manager. She has worked in Organisational Development (OD) in Mental Health for the last eight years. Helen’s main areas of interest are co-production, inclusion and appreciative enquiry. Helen is an active member in an Organisational Development action research group looking at new models of practice in complex healthcare systems. Her interest in RAV is recent and a natural extension of her work in inclusion. Kelsey Hegarty is an academic general practitioner who holds the joint Chair in Family Violence Prevention at the University of Melbourne and the Royal Women's Hospital. She co chairs the Melbourne Research Alliance to End Violence against Women (MAEVe). Her research includes the evidence base for interventions to prevent violence against women; educational and complex interventions around identification of domestic and family violence in primary care settings and early intervention with men, women and children exposed to abuse. Interventions are delivered through health care and through the use of new technologies. She has developed a measure of domestic violence the Composite Abuse Scale, validated multidimensional measure of partner abuse. It has been used extensively globally and is available in 10 languages. She has co-edited a book on Intimate partner abuse for health professionals and is on two Cochrane systematic reviews of screening and advocacy interventions for domestic violence. She led the development of Royal Australian College of General Practice White Book on Abuse and Violence and a GP learning module. She has developed an innovative domestic violence curriculum for health practitioners and she regularly teaches domestic violence and mental health issues to undergraduates and postgraduate medical and nursing practitioners. She provides regular expert advice to the World Health Organisation. She is also Director of the Postgraduate Primary Care Nursing Course in the Department. She works in general practice 1 session per week. Clare McFeely is a Lecturer in Nursing & Health Care at the University of Glasgow. Her teaching and research interests are in addressing inequalities and in the health service response to survivors of gender based violence (GBV). Before moving to education, Clare worked in the NHS in Scotland initially as a midwife and then in research and development roles, latterly focussing on the health response to survivors of GBV. Clare is a founder member of the Scottish Gender Based Violence Research Network. 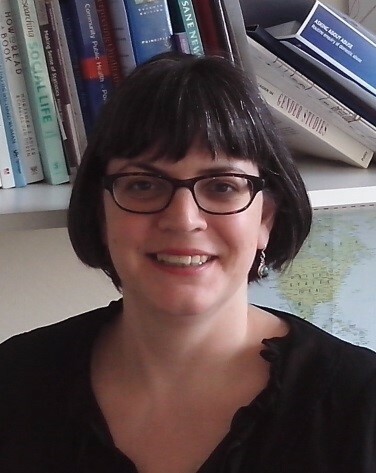 Kathryn is a social scientist with a specialism around qualitative methodologies. She is a trained teacher with a background in further and higher education in the UK. She has been involved in evidence based healthcare for the past decade completing her PhD on pre-registration nurses education and clinical experiences. Her expertise relates to research conducted with older populations in particular their healthcare needs as survivors of domestic violence. She has worked on aspects of mental health for young people and adults including and public and patient engagement. She is Assistant Editor for the journal Nurse Education Practice and a JBI accredited trainer. Julie is an established researcher with expertise and professional background in the field of safeguarding (adults and children), gender based violence and intimate partner violence/domestic violence and abuse with a focus towards survivors' experiences and the development of effective health/social care professionals' responses. Julie has led on a number of funded research initiatives, working with national and local agencies in the UK in the development of safeguarding and domestic violence services for children and families and survivors of abuse. Julie also has a well-established background in participant led research exploring effective approaches to domestic violence identification and management through co-production of arts based narrative projects with survivors of female genital mutilation (FGM) and domestic violence and abuse. Julie has been commissioned to lead a number of domestic violence project evaluations both locally and nationally and has also acted in an advisory capacity for local and national agencies in domestic violence service/education development. Julie's work synthesizes research, education and practice and predominantly utilizes a qualitative approach to enquiry including personal narrative and ethnography - recent and current work includes older women and personal accounts of DVA survivorship and narrative accounts of FGM survivors. Julie has initiated multi-agency collaborative scholarly partnerships on both international and national levels through leading the successful inception of the Integrated Domestic Violence and Abuse Research Group and Seminar Series within the Social Futures Centre of Excellence, Institute of Mental Health. Julie has published widely and disseminated her work through national and international conferences and invited keynote speaker presentations. Dr. Svetlana Kishchenko is a Clinical Assistant Professor at the University of British Columbia, School of Population and Public Health. She has substantial and diverse experience in international health and public health. Her background involves experience working with the United Nations, WHO office in 2003 and 2005. She has completed several international postdoctoral fellowships and graduate fellowship at Boston University. Dr. Kishchenko has had extensive experience and leadership in Medical Cooperation in Northeast Asia and the Russian Far East and records of achievement of established international partnerships in Asia – Pacific region. Her background has also included primary health care strategic planning, consulting to WHO, government, health services and public health organizations.